Based on an industry survey of CX leaders, NGCX’s research shows that lack of strategy and execution are holding businesses back. See if you meet the industry benchmarks. Thanks! You will receive 'Millennials as Customers' shortly. Get access to NGCX’s exclusive research, gathered directly from responses to a benchmarking survey of executives with responsibility for customer experience and user experience within their organizations. 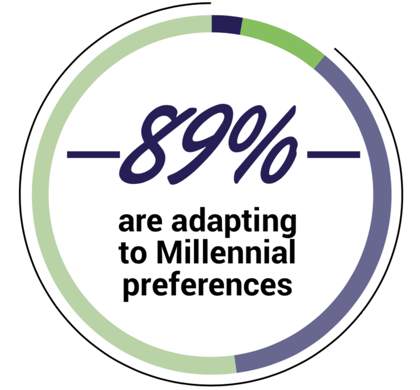 89% of organizations surveyed acknowledge that Millennials have different preferences from previous generations, and are shifting their CX strategies to match. Are you doing the same? Download the report and see how you stack up.